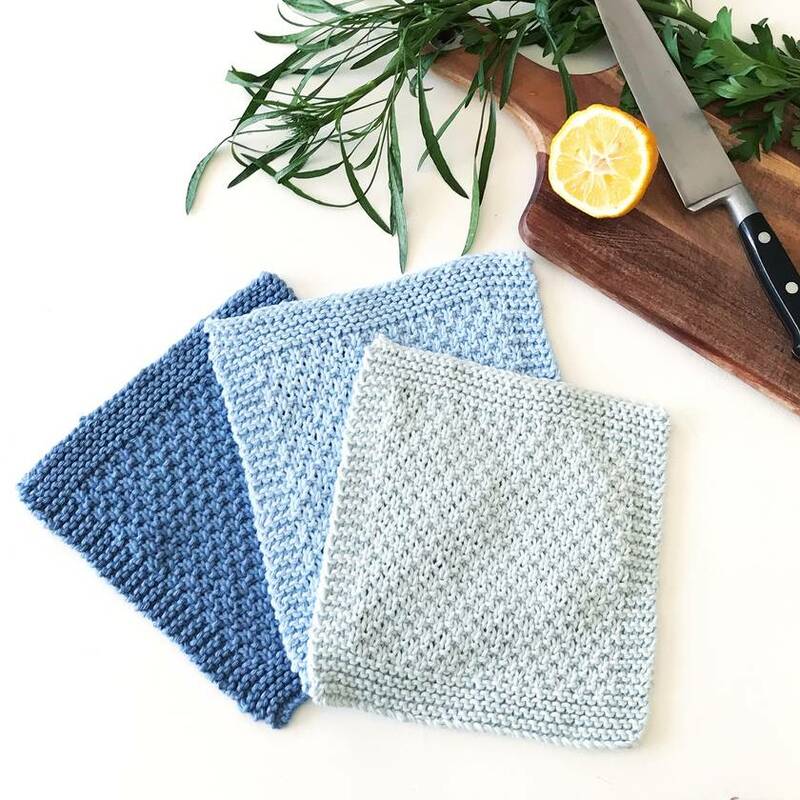 A beautiful set of three 100% cotton dishcloths. 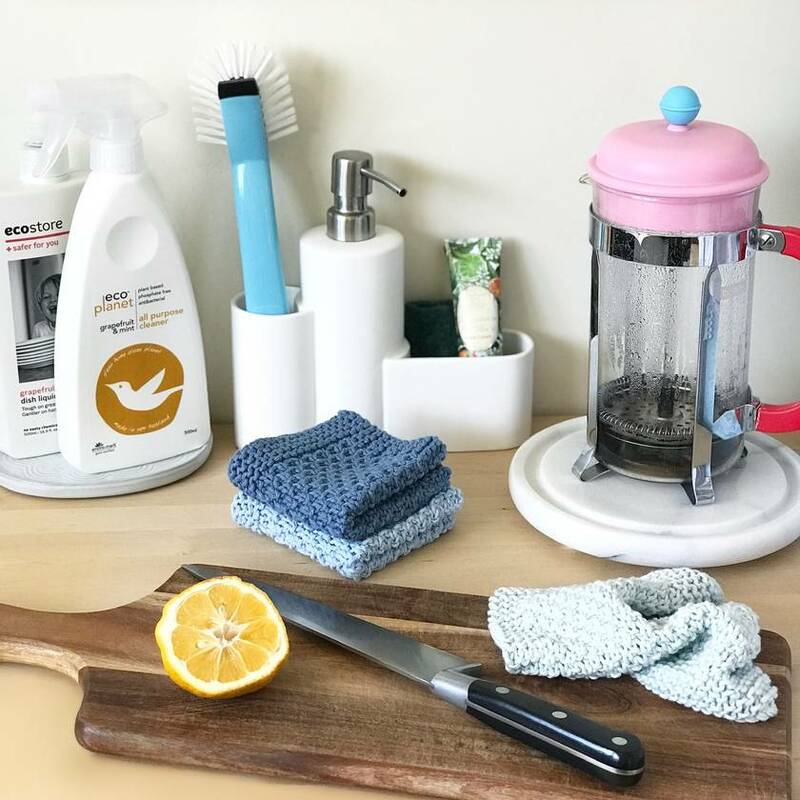 They are knitted in a pretty textured pattern which assists with wiping up spills and leaving streak free surfaces. Being 100% cotton, they are perfect for anyone who wants be a little more eco friendly in their Home. The cloths can be washed and washed, and when past their best, can be tossed on the compost bin to breakdown naturally. In coordinating shades of blue - sea mist, denim & sky, the cotton is delightfully soft. The gorgeous colours would look equally elegant in a modern Home, or give a homemade vibe to a vintage style Home. They make a gorgeous Home warming gift, or treat your own Home to a stylish little pressie. 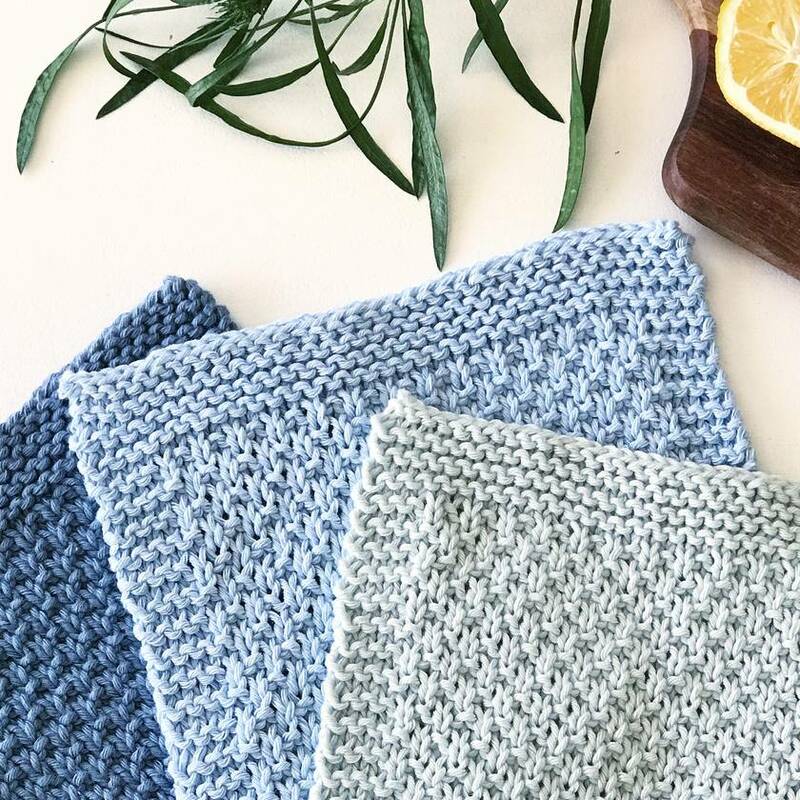 They also look pretty stacked up in the bathroom within easy reach to use as facecloths.....again, being 100% cotton, they’re eco-friendly and will bring a little luxury to an everyday task. Each cloth measures approx 18w x 20h cm. Warm, gentle machine wash with similar colours, reshape whilst damp & dry flat in shade, low iron. 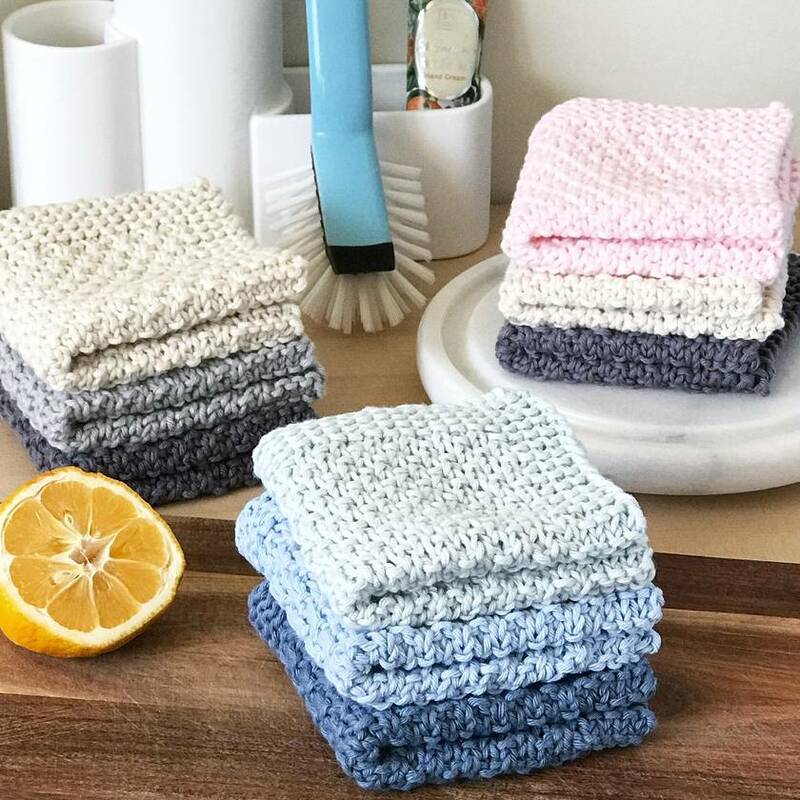 Please note: this listing is for x1 set of x3 dishcloths....all other items in the photos are for display purposes, and are NOT included in the sale. Actual colours may vary. This is due to the fact that every computer screen has a different capability to display colours, and that everyone sees these colours differently. I try to edit my photos to show the products as life-like as possible, but please understand the actual colour may vary slightly from your screen. I cannot guarantee that the colour you see accurately portrays the true colour of the product.